During a recent visit, AFP correspondent saw corrugated steel container marked China Shipping being unloaded on an otherwise deserted dock. Aktau: With the outlines of its six idle cranes obscured by thick fog and pouring rain, Kazakhstan's Caspian seaport Aktau seems an unlikely stop on China's much-hyped new silk road. But the sleepy port, which has been badly hit in recent years by new oil routes, is vying for a slice of the pie as competition for Chinese trade warms up on the shores of the world's largest inland sea. China's trillion dollar Belt and Road initiative has been a buzz-phrase in Kazakhstan ever since Chinese leader Xi Jinping unveiled the overland trade and infrastructure vision during a 2013 visit to the capital Astana. For the moment, evidence of Beijing's economic might is light on the ground at Aktau, more than 2,300 kilometres (1,400 miles) from the China-Kazakhstan border crossing that is a key entry point for goods bound for Europe overland. "This used to be an old port in poor condition with old equipment," said Oraz Koptleuov, a native of Turkmenistan who began working at the port of Aktau as a machinist in 1995. "Now we have new technology... But there is not enough work. Let there be more work!" he told AFP of the port where 500 people are now employed, down from 700 several years ago. During a recent visit, an AFP correspondent saw a corrugated steel container marked China Shipping being unloaded on an otherwise deserted dock. The container had carried a shipment of engine oil from Turkey to Kazakhstan via Azerbaijan's capital Baku, Koptleuov said, but would make the return journey empty. The experience of the Aktau port mirrors broader economic struggles in energy-rich Kazakhstan, which was badly burned by the oil price collapse in 2014 and hopes a trade and transit boom can ease an unstable commodity dependence. Oil once underpinned business at the port -- more than 14 million tonnes of crude passed through annually -- before a more economically efficient network of pipelines grew up, reducing the figure tenfold and triggering layoffs. But port president Abai Turikpenbayev now expects Aktau to emerge as an important overland trade node that can offer an alternative to the better-known northern route to Europe via Kazakhstan and Russia. "The Chinese call our route the middle route," Turikpenbayev said of the route boosted by Kazakhstan's own investments in domestic road and rail infrastructure. Authorities hope these investments can kickstart stagnating regional economies. The "middle route" includes a Caspian crossing and allows a shipment of goods from Chengdu in China to reach Istanbul via Aktau in just over 20 days by rail. This is both slower than the northern route, via which trains can reach Vienna in a fortnight, and more expensive than sea journeys that take over a month and account for over 90 percent of East-West trade. Nevertheless, the route via Aktau offers exporters access to very different markets in Turkey, the Caucasus and Iran. It could also offer cover for businesses suffering in the Moscow-Brussels sanctions battle. Turikpenbayev said the involvement of Dubai-headquartered logistics giant DP World in port operations -- "their specialists and their brand" -- has been a key part of convincing investors in China the new route is viable. Aktau port expects to process 1,500 containers from China in 2018, he says -- double last year's figure but still only three percent of the port's own modest overall turnover. Aktau is not the only Caspian port jockeying for the China trade. Neighbouring Turkmenistan's leader Gurbanguly Berdymukhamedov unveiled a USD 1.5 billion port in Turkmenbashi in May, while on the other side of the Caspian Azerbaijan has invested heavily in a new port called Alat. Domestically, the Aktau port might also one day be overtaken by rapidly modernising Kuryk, which lies three hours south and benefits from a slightly milder climate. Kuryk, where many former Aktau labourers now work, was presented with great fanfare to diplomats and businessmen by Kazakhstan's 78-year-old President Nursultan Nazarbayev this month. Adil Kaukenov, director of China Centre -- a think tank based in Kazakhstan's largest city Almaty -- said there may well be enough trade to go around so long as "conservative" businessmen in China buy into the less established routes. "If these routes take off the problem might be that these ports lack the capacity to meet demand," Kaukenov told AFP. 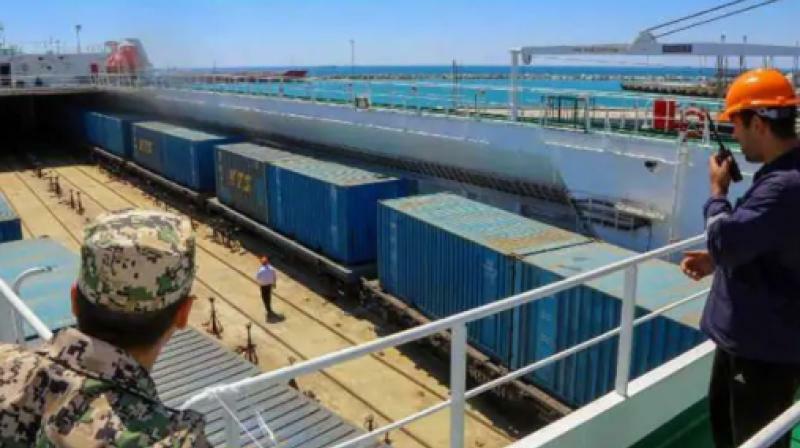 Islam Aslanov, a Baku-born businessman who works with the Aktau port agreed the facility needs further preparation if it is going to profit from China's Belt and Road. "Service there has improved but rules still need to be clearer for importers and exporters," said Aslanov, whose West Stroy construction company is building a waterfront apartment hotel in Aktau aimed at foreign businessmen. "One time I went to the customs point and they made me walk 700 metres to get a stamp somewhere else. This last time I went and they didn't, so I suppose they are getting better" he said, laughing.